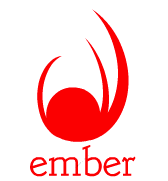 What is Ember? 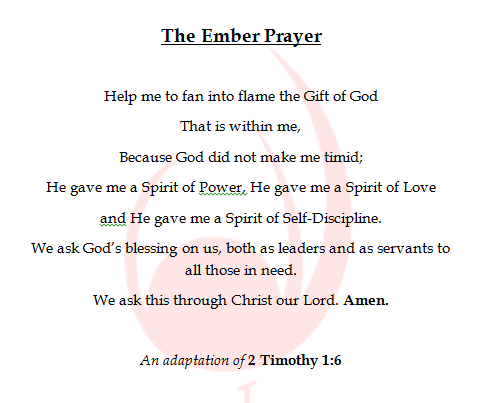 The Ember Programme is a faith leadership training programme for students at senior level in secondary schools. The students are trained to become faith leaders in their schools and in some cases they act as mentors for incoming students at Junior Level. This programme is coordinated by the Archdiocese of Dublin Education Secretariat and has been developed in partnership with a number of professionals who engage with young people in a faith capacity. For further information, contact the Post-Primary Diocesan Adviser. Ember is a Faith Leadership Programme that has been offered in the Dublin Diocese, commencing as a pilot programme during the 2012/13 academic year when a working group of professionals engaged with young people and faith came together, under the coordination of the Diocesan Adviser, to contribute to the Programme’s content, vision and purpose. The Programme was then launched to students at Senior Level in five Secondary Schools, teams were selected and these five teams came together for formal Faith Leadership Training in Ovoca Manor in May 2013. 19 teams have taking part in the Ember Residential Training and are now serving as Ember leaders in their respective schools for 2016/17; supported by Anna Maloney, the Post-Primary Diocesan Adviser. The students were blessed during a Commissioning Ceremony by Bishop Eamonn Walsh in Ovoca Manor on Friday May 6, to officially conclude their training. We wish them - and the teams who were also commissioned on Sept 2 and Sept 14, 2016 - every blessing as they serve in their role as faith leaders within their schools until May 2017. Students, working with a teacher from their own school, also participate several workshops to enhance their skills in areas such as listening, group dynamics, effective planning strategies etc. Each evening ends with a reflective liturgy and at the close of the programme on Friday May 6, Bishop Eamonn Walsh visited to commission the new Ember teams. We want to create opportunities for students in our schools to lead and to deepen their own faith. We use the word Ember as a metaphor of how a small flame can ignite a fire. We take the model from the KANDLE diocese of Meitheal groups “Act justly, love tenderly and walk humbly with your God”, as an example of what can be achieved. Vision: Inspired by the Christian message of love and service to others, our vision is to create a group of leaders within schools who will be an example of faith in action, striving to make a difference in the lives of those around them. To have an Ember Team of students who meet regularly throughout the school year. The group should be well organised and have a strong sense of purpose; which is to find opportunities to develop the community of faith within themselves, the school and the wider community. The initial task for the team may be to support the transition of incoming first years to the community of faith within the school. To select a group of 4th or 5th year students (decided by each school, in conjunction with the Diocesan Adviser) who would like to be part of the group. To participate in a 3 day formation programme in Ovoca Manor annually in May/September. The programme aims to develop the teamwork skills, leadership skills, sense of community development and the participants’ personal faith. By the end of the residential training, the group will have a clear structure (Chair, Secretary etc) and a clear plan for working as Faith Leaders within their school communities; this may be fulfilled by supporting and mentoring junior students, acting as a Chaplaincy team etc; the purpose of each team within their school is determined locally. The team meets on a weekly basis throughout the school year to plan, carry out and evaluate further activities that promote the Christian spirit of the school. 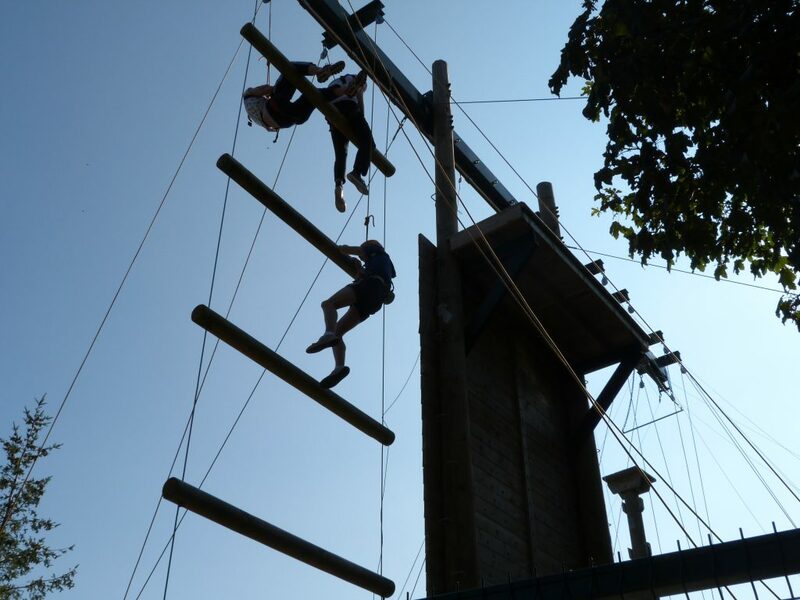 Opportunities are provided for all students who participate in the residential Ember training to gather together again throughout their year as Ember leaders. Students that have participated in the programme may be invited to work with future Ember teams to help them in their formation.